There are a variety of possibilities to travel to our apartments. The most important possibilities are the variety of means offered by the Viennese public transport network (subway, metro) shown above. If you prefer to travel in a more private fashion, simply call for a taxi. The most important taxi telephone numbers are: 31300, 60160 und 40100. Check-in is possible starting at 2 p.m. We don’t have a 24 hour reception available, hence we request that you inform us concerning your arrival time by e-mail or mobile telephone in order that we can greet you, show you the apartment, and hand you the keys. Our hand-over of keys times are 2 p.m.– 10 p.m.
You will get the keys on the day of arrival directly at the apartment in Vienna. Hence, we request that you inform us of your arrival time, as well as, when possible, your mobile telephone number. We will be there for you at the location. Take the city train S7 (in the direction Floridsdorf) and take the train to Floridsdorf. There you transfer to the underground line U6 and take the U6 (in the direction Siebenhirten) to the station Dresdner Strasse. Starting from the Dresdner Strasse station it’s 2 minutes on foot to the apartment TAVienna in the Kampstrasse 3. A further possibility to travel is offered by the privately run City Airport Train (CAT). The frequency is every 30 minutes non-stop from the airport to the station Wien Mitte / Landstrasse. This route is slightly more expensive but much quicker. The CAT can be taken to Wien Mitte / Landstraße (Vienna Central Station). Upon arrival change in Vienna Central Station (Wien Mitte / Landstraße) to the underground station U4 in the direction Heiligenstadt and take the underground to the station Spittelau. There you get on the U6 underground (direction Floridsdorf) and take the train to the Dresdner Strasse station. Starting from the Dresdner Strasse station it’s 2 minutes on foot to the apartment TAVienna in the Kampstrasse 3. After arriving at Westbahnhof take the U6 underground to the Dresdner Strasse station. 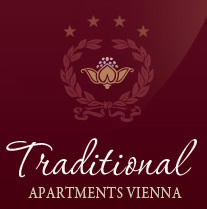 Then it takes 2 minutes on foot to the holiday apartment TAVienna at Kampstrasse 3. The station Südbahnhof Vienna was temporarily close for renovation starting on 13 December 2009. The railway station Wien-Meidling has partially taken over the schedule of Südbahnhof. The eastern- and western railway connections currently begin and end at the station Wien-Meidling. Directly at the station Wien-Meidling you can take the underground line U6 (direction Floridsdorf) to the station Dresdner Strasse. Then it takes 2 minutes on foot to the apartment TAV at Kampstrasse 3. Take the underground line U2 (direction Karlsplatz) and get off at the station Taborstrasse. There you change to the tram line 2 (direction Friedrich-Engels-Platz) and take it to the station Dresdner Strasse. Starting from the Dresdner Strasse station it’s 2 minutes on foot to the apartment TAVienna in the Kampstrasse 3. Take the city train S7 (in the direction Floridsdorf) and take the train to Floridsdorf. There you transfer to the underground line U6 and take the U6 (in the direction Siebenhirten) to the station Dresdner Strasse. Starting from the Dresdner Strasse station it’s 2 minutes on foot to the apartment "Holiday" in the Hellwagstrasse 4. Upon arrival change in Vienna Central Station (Wien Mitte / Landstraße) to the underground station U4 in the direction Heiligenstadt and take the underground to the station Spittelau. There you get on the U6 underground (direction Floridsdorf) and take the train to the Dresdner Strasse station. Starting from the Dresdner Strasse station it’s 2 minutes on foot to the apartment "Holiday" in the Hellwagstrasse 4. After arriving at Westbahnhof take the U6 underground to the Dresdner Strasse station. Then it takes 2 minutes on foot to the holiday apartment TAV "Holiday" at Hellwagstrasse 4. Directly at the station Wien-Meidling you can take the underground line U6 (direction Floridsdorf) to the station Dresdner Strasse. Then it takes 2 minutes on foot to the holiday apartment "Holiday" at Hellwagstrasse 4. There you change to the tram line 2 (direction Friedrich-Engels-Platz) and take it to the station Dresdner Strasse. Starting from the Dresdner Strasse station it’s 2 minutes on foot to the apartment "Holiday" in the Hellwagstrasse 4. Take the city train S7 (direction Floridsdorf) to the station Wien Mitte / Landstrasse. There you'll go to the underground train U3 to the station Westbahnhof. From there you'll take the underground train U6 (direction Floridsdorf) and get off at the next stop, Burggasse. From the underground station it's only 2 minutes on foot to the city apartment at Urban-Loritz-Platz 8. An additional possibility for you to get to the apartment is by the privately run City Airport Train CAT. It travels non-stop every 30 minutes from the airport to the station Wien Mitte/Landstrasse. This means of transport is somewhat more expensive but quicker. You'll take the CAT to the station Wien Mitte / Landstrasse. From there you'll take the underground U6 (direction Floridsdorf) and take it to the next station Burggasse. From the underground station it's only 2 minutes on foot to the apartment "City" at Urban-Loritz-Platz 8. The station Südbahnhof is in the process of being renovated and has been closed since December 13th, 2009. The station Wien-Meidling has partially taken over the function of Wien Sübahnhof. The usual train traffic in the eastern- and southern directions currently begin and end at the station Wien-Meidling. Directly at the train station Wien-Meidling, you'll take the underground train U6 (direction Floridsdorf) to the Burggasse underground station. From the underground station it's only 2 minutes on foot to the apartment "City" at Urban-Loritz-Platz 8. You'll take the underground train U2 (direction Karsplatz) and take it 5 stops to the Volkstheater station. There you'll change to the underground line U3 (direction Ottakring) and take it to the station Westbahnhof. From there you'll take the underground for one stop, and you'll get off at the station Burggasse. From the underground station it's only 2 minutes on foot to the apartment "City" at Urban-Loritz-Platz 8. Take the city train (Schnellbahn) S7 (direction Floridsdorf) and take it to the station Praterstern. Upon arrival, take the underground U2 (direction Aspernstraße) and get off at the station Messe-Prater. From the underground station its only three minutes on foot to the apartment "Entire" Stuwerstraße 23. An additional option to get to the apartment is offered by the privately run City Airport Train (CAT). It runs none stop every 30 minutes from the airport to the station Wien Mitte / Landstraße. The CAT is somewhat more expensive but much faster. Take the CAT to Wien Mitte / Landstraße. There you change to the underground train U4 (direction Heiligenstadt) and take it to the station Schottenring. There you take the U2 (direction Aspernstraße) and take it to the station Messe-Prater. From the underground station its only three minutes on foot to the apartment "Entire" Stuwerstraße 23. At the Westbahnhof train station take the underground U3 (direction Simmering) and take it to the station Volkstheater. There you take the U2 ( direction Aspernstraße) and take it to the station Messe-Prater. Then from the underground station its only three minutes on foot to the apartment "Entire" Stuwerstraße 23. The train station Südbahnhof was closed and laid to rest due to construction on December 13th, 2009. The train station Wien-Meidling has partially taken over the function of the Südbahnhof station. The Südbahn inter-urban- and inter-city rail cervices and the Ostbahn inter-urban currently begin and end at Wien-Meidling. Directly at the train station Wien-Meidling take the underground U6 (direction Floridsdorf) to the station Westbahnhof. There you get on the underground U3 (direction Simmering) to the station Volkstheater. Upon arrival take the underground U2 (direction Aspernstraße) and take it to the Messe-Prater station. Then it's only three minutes on foot to the apartment "Entire" Stuwerstraße 23. Take the underground U2 (direction Aspernstraße) to the station Messe-Prater. Then it's only three minutes on foot to the apartment "Entire" Stuwerstraße 23. There you transfer to the underground line U6 and take the U6 (in the direction Siebenhirten) to the station Dresdner Strasse. Starting from the Dresdner Strasse station it’s 2 minutes on foot to the TAV apartment "Luxury" in the Universumstrasse 23-29. Upon arrival change in Vienna Central Station (Wien Mitte / Landstraße) to the underground station U4 in the direction Heiligenstadt and take the underground to the station Spittelau. There you get on the U6 underground (direction Floridsdorf) and take the train to the Dresdner Strasse station. From there it takes 2 minutes on foot to the TAV apartment "Luxury" Universumstrasse 23-29. After arriving at Westbahnhof take the U6 underground to the Dresdner Strasse station. Then it takes 2 minutes on foot to the holiday apartment "Luxury" at Universumstrasse 23-29. Directly at the station Wien-Meidling you can take the underground line U6 (direction Floridsdorf) to the station Dresdner Strasse. Then it takes 2 minutes on foot to the TAV holiday apartment "Luxury" at Universumstrasse 23-29. There you change to the tram line 2 (direction Friedrich-Engels-Platz) and take it to the station Dresdner Strasse. From station Dresdner Strasse it takes 2 minutes on foot to the TAV apartment "Luxury" Universumstrasse 23-29. Take the city train S7 (direction Floridsdorf) to the station Wien Mitte/Landstrasse. Take then the underground train U3 to the station Schweglerstraße / exit Märzstraße. It is now only a 2 minutes’ walk from the underground to the city apartment "Design" Costagasse 6. An additional possibility for you to get to the apartment is to take the privately run City Airport Train CAT. It departs non-stop every 30 minutes from the airport direction Wien Mitte/Landstrasse. Although it’s the more expensive way to get to the city, it is also the faster one. Take the CAT to the station Wien Mitte/Landstrasse. Please change there to the underground line U3 (direction Ottakring) and go to the station Schweglerstraße / exit Märzstraße. It is now only a 2 minutes’ walk from the underground to the apartment "Design" Costagasse 6. Take the underground U1 (direction Leopoldau) and go to Stephansplatz City. Change to the underground line U3 (direction Ottakring) and get out at Schweglerstraße / exit Märzstraße. It is now only a 2 minutes’ walk from the underground to the city apartment "Design" Costagasse 6. Starting at Westbahnhof please take the underground U3 (direction Ottakring) and go to the next station Schweglerstraße / exit Märzstraße. It is now only a 2 minutes’ walk from the underground to the city apartment "Design" Costagasse 6. Arriving at the train station Wien-Meidling, please take the underground train U6 (direction Floridsdorf) to Westbahnhof. Then please change to the underground line U3 (direction Ottakring) and go to Schweglerstraße / exit Märzstraße. It is now only a 2 minutes’ walk from the underground to the apartment "Design" Costagasse 6. Take the underground train U2 (direction Karlsplatz) to the station Volkstheater. Change then to the underground line U3 (direction Ottakring) and go to Schweglerstraße / exit Märzstraße. It is now only a 2 minutes’ walk from the underground to the apartment "Design" Costagasse 6. Take then the underground train U3 to the station Schweglerstraße / exit Märzstraße. It is now only a 2 minutes’ walk from the underground to the city apartment "Lifestyle" Costagasse 6. Please change there to the underground line U3 (direction Ottakring) and go to the station Schweglerstraße / exit Märzstraße. It is now only a 2 minutes’ walk from the underground to the apartment "Lifestyle" Costagasse 6. It is now only a 2 minutes’ walk from the underground to the city apartment "Lifestyle" Costagasse 6. Starting at Westbahnhof please take the underground U3 (direction Ottakring) and go to the next station Schweglerstraße / exit Märzstraße. It is now only a 2 minutes’ walk from the underground to the city apartment "Lifestyle" Costagasse 6. Arriving at the train station Wien-Meidling, please take the underground train U6 (direction Floridsdorf) to Westbahnhof. Then please change to the underground line U3 (direction Ottakring) and go to Schweglerstraße / exit Märzstraße. It is now only a 2 minutes’ walk from the underground to the apartment "Lifestyle" Costagasse 6. Take the underground train U2 (direction Karlsplatz) to the station Volkstheater. Change then to the underground line U3 (direction Ottakring) and go to Schweglerstraße / exit Märzstraße. It is now only a 2 minutes’ walk from the underground to the apartment "Lifestyle" Costagasse 6. We look forward to greeting you at the holiday apartment and wish you a pleasant journey.